I had heard my ‘enhanced’ name so much so that when I was in fourth grade I started writing the ‘enhanced’ name on my school papers. Mom saw the papers and asked me why I used that name. “That’s my name.” … “No, that’s what I call you when you are in trouble.” ….. ’nuff said. My first and middle names consist of four letters each…. when I was in trouble with Mom and she wanted to emphasize that, she’d ‘enhance’ my names to six letters in the first name and seven letters in the middle name. If the ‘enhanced’ name did not get my attention, she’d get it in another way. And, looking back, I had deserved the punishment. 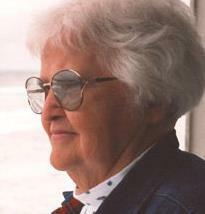 She was a fair disciplinarian and a great Mom. She wanted her children to know their boundaries and grow up to be good people.